While in Townsville, Australia last week for meetings, I read the news of Chancellor Angela Merkel of Germany announcing her decision to take in 800,000 refugees. These are primarily Syrians and part of as many as 4 million that have fled the country’s now almost five-year civil war. Merkel’s decision came in a week where the world’s attention was gripped by terrible images of refugees desperately seeking to get into Europe, including a young boy’s drowned body on a beach. The 800,000 that Germany is taking in is not the ceiling however, and Merkel made it clear that they are prepared to take in more. The other 27 nations of the European Union have been much slower in making commitments, and President Obama announced that only 10,000 Syrians will be accepted in the US. That is unacceptably low and hopefully that will change to at least a 100,000 or more. Back to Townsville. A beautiful city on the Northeast Australian coast and a gateway to the Great Barrier Reef. (Unfortunately due to meetings there was no time to visit it!) 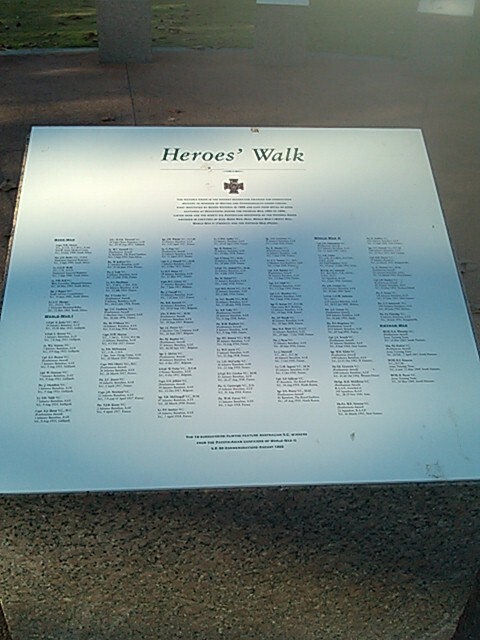 While my wife and I strolled along the Strand, which stretches by the beach for several miles, I wandered into a small park area honoring Australia’s 20th century war dead. The photo above is part of it, and reads We called, They served. This memorial in part honors those who served and died in the Battle of the Coral Sea fought near Townsville May 4-8, 1942. This battle, fought almost exclusively among aircraft carriers for the first time in history, prevented the Imperial Japanese navy from taking Port Moresby (now the capital of Papua New Guinea). Though it was a tactical victory for the Japanese as they sunk more ships, it was a clear strategic victory for the Allies. It was the first time since the Pacific War started that the Japanese advance had been stopped. Two of the Japanese aircraft carriers were destroyed or damaged, which was a critical loss in light of the following month’s crucial Battle of Midway. If the Allies had not “won” this battle in the Coral Sea, it is possible that Australian cities like Townsville and Darwin would have been invaded and occupied. How is the refugee crisis in the Middle East and Europe and Australia war heroes related? Both required courageous decisions by people to step up and serve in the face of opposition. Chancellor Merkel is an impressive leader with a track record of strong leadership. In my opinion by taking a lead in this refugee crisis, she has shown an even greater capacity for making gutsy decisions. She has made Germany a haven of hope for millions of people. Are there risks in her decision for Germany and indeed all of Europe? Yes, of course. But to lead is to take risks. She does not take this risk from a place of weakness, but knowing the strength of her nation she has opened its doors of hospitality. It is of course ironic that it is Germany that is leading the way in opening its doors. As someone said last week, when Germany in history has been bad, they have been very bad. But when they have been good, they have been very good The United States and other Western countries need to see and heed Germany’s example right now and open their doors to more Syrians, Iraqis and others. There is something about war memorials that honor heroes and the fallen of a nation that always strikes my heart. Not because I am militaristic or believe that war should be the tool of first resort. But the sacrifice of those that serve for a greater cause than themselves and their personal peace and affluence is worthy of honor and respect. 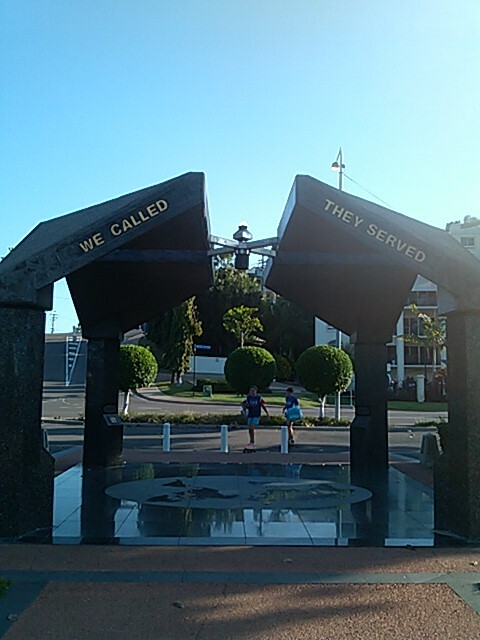 While in Townsville last week I felt it again related to the Aussie heroes. When a list of heroes of this present refugee crisis in the Middle East is someday recorded, Angela Merkel’s name will be right at the top. 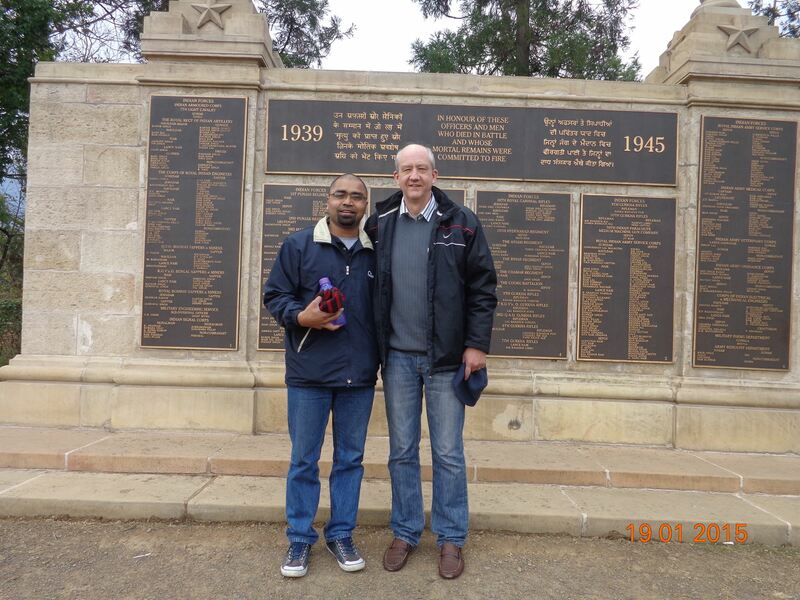 At the beginning of this year in January I was in Nagaland, India and had a precious opportunity to visit with a close friend the site of the Battle of Kohima. This battle in 1944, also between the Allies and the Japanese, was according to British war leader Lord Mountbatten one of the most crucial of World War II. In a ferocious several days particularly on one hill around the Governor’s bungalow, the Imperial Japanese Army was stopped in their tracks. Kohima, now the capital of the Indian state of Nagaland, became the farthest point the Japanese invasion got to. If they had won in Kohima, it is possible that they would have gone all the way to Calcutta. (now known as Kolkata). There is one of the memorials on this hill that has an arresting inscription. It reads For Your Tomorrows We Gave Our Todays. When I read this it stopped me in my tracks. To me this defines what true leadership is all about. Being willing to take the hard decisions today that open a hopeful future for many to come. This is what Angela Merkel has done. This is what those who serve their country, or those who resist their country when it rules unjustly, have done. To be willing to give our todays in sacrifice so that others may live a tomorrow is at the heart of the crisis going on with millions of refugees right now. The values of personal peace and affluence, as Dr. Francis Schaeffer once wrote describing modern Western civilization, are not enough to build a foundation or moral order on. Building on these will cause collapse eventually with the rot coming from within. Thank you, Germany, for leading the way this last week. Thank you, Aussie war heroes, for sacrificing your lives in the Battle of the Coral Sea and other battles of the 20th century. I hope Australia, the United States, Great Britain and other European nations will take in many more refugees in the coming months and years. Yes, there are risks. But for their tomorrows we need to give our todays. Great post Steve. I appreciated the connection between the sacrifices of war, and the sacrifice needed for Syrian and other refugees. Sacrifice for the sake of others is a noble and supremely biblical value. Our faith is wholly constructed upon the ultimate self sacrifice of One, in order that multitudes might be delivered from death and eternal anonymity. In relation to the intended Japanese invasion of PnG and Australia: many years ago, when I was a boy collecting coins, somebody gave me some Japanese currency that had been printed specifically to use in Australia once the invasion was successful. This is how confident the Japanese were of success, and how bold their plans were for the subjugation of the Allies. For me, this brings the sacrifice of Allied troops and civilians into sharper focus. Like you, I can’t see a war memorial or watch a decent war movie without admiring their self sacrifice. Thanks Allen. Well said. There is so much depth of heart in the sacrifice of these heroes. As you said, our faith is based in the sacrifice of the One who loved us so much. Living for a cause and life beyond ourselves by His grace and presence.